Lama Zopa Rinpoche chants blessings to rescued dogs in Bhutan, July 2016. Photo by Ven. Holly Ansett. 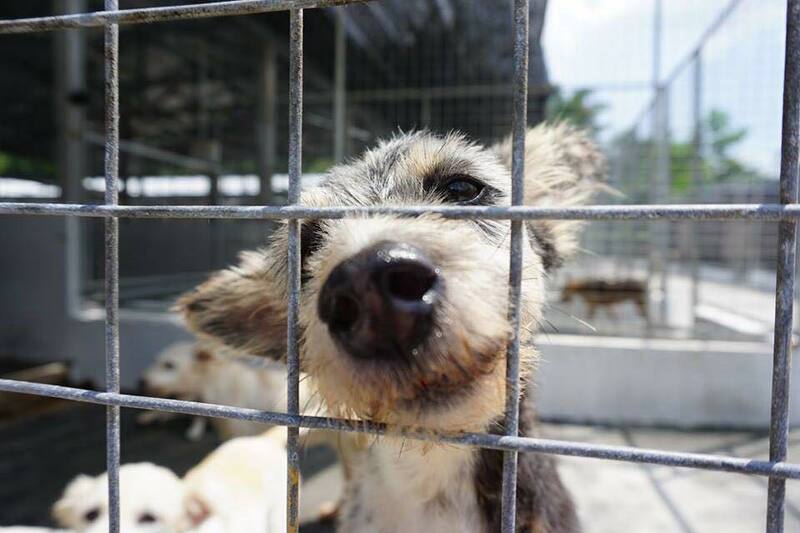 In 2016, Lama Zopa Rinpoche heard about a service that rescues stray dogs in Malaysia, and that had cared for more than a thousand of them. He was deeply touched to hear about this rescue effort. Rinpoche wanted to make an offering of food to help the dogs and also support the woman who ran the rescue service. 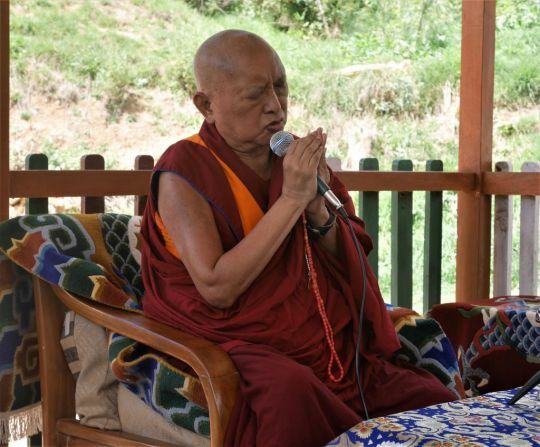 The local FPMT center, Losang Dragapa Centre, raised money and Rinpoche also contributed. Together, they offered enough money for six months’ worth of food. 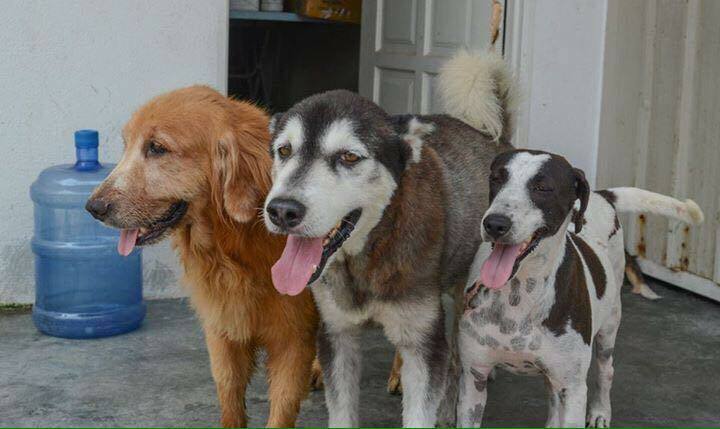 In addition, Rinpoche asked the center members to put Namgyalma mantras on the ceilings of each of the kennels where the rescued dogs stayed, which they did. Because of this, the dogs now receive purification and blessings from the mantra. Afterward, Rinpoche sent the center the following letter of thanks. Thank you very, very much billion, zillion, trillion times, to all the students and all the friends. Please tell everyone my billion, zillion, trillion on and on thanks for the support for the dogs. For 80,000 eons there will be great result of great enjoyment. No pain, no disease, and enjoyment of happiness. Like that, one will be enriched with desirable things. After hearing that there is the great result—who wouldn’t want to collect merit? Please pass on this quote and my thanks to everyone. Also please give it to the lady who has the dogs, telling her it is from me. Transcribed by Ven. Holly Ansett. Lightly edited by Ven. Holly Ansett and Mandala.